Remote healthcare services and technology are quickly becoming commonplace for healthcare organizations across the globe. The global telemedicine market grew from $9.8 billion in 2010 and is expected to triple to $27.3 billion in 2016. Quite simply, telemedicine is revolutionizing the healthcare industry. In other words, another layer of security needs to be implemented when using telemedicine. Contacting cloud service providers to verify they are HIPAA compliant is a must for health organizations who want to enter the telemedicine industry. In 2014 Community Health Systems Inc., one of the biggest U.S. hospital groups, reported it was the victim of a cyber attack from China, resulting in the theft of personal data belonging to 4.5 million patients. The information stolen from Community Health included patient names, addresses, birth dates, telephone numbers and Social Security numbers of people who were referred or received services from doctors affiliated with the hospital group in the last five years. 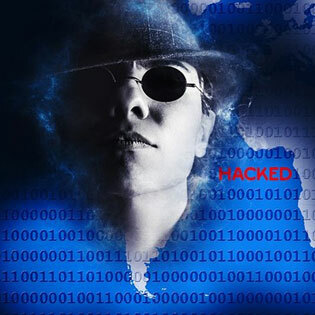 Hospital hacking has become more frequent in the past two years. Stolen patient information is sold to identity thieves who can make money from the information for years to come. Telehealth technology is no longer a trend. It is the next step in the evolution of healthcare. GlobalMed mentions, “More than 2,000 studies have been conducted researching telemonitoring, with the vast majority showing just how valuable remote healthcare can be. Results have included reducing hospital readmissions by 83 percent, decreasing home nursing visits 66 percent, and lowering overall costs by more than 30 percent. Also, patients and caregivers using telehealth technologies have reported increased satisfaction with treatments. These findings have been enough to encourage many countries – such as the United Kingdom – to integrate remote healthcare into their current healthcare practices. Modern technology makes it possible for physicians to perform on-demand consultations with members nationwide via telephone and video technology. Download our cloud report to learn more about the importance of cloud storage / cloud computing. Patients will be able to seek advice, recommendations and a diagnosis, which may include a prescription for common acute illnesses. Alaska has already made strides to allow physicians from other states to video conference patients living in Alaska, even though they may not be state certified. The cloud is a must for the telehealth industry. The security, storage and disaster recovery options are a necessity. Cloud service providers, such as TOSS C3, have the equipment, experience, and versatility to move telemedicine to the next level.